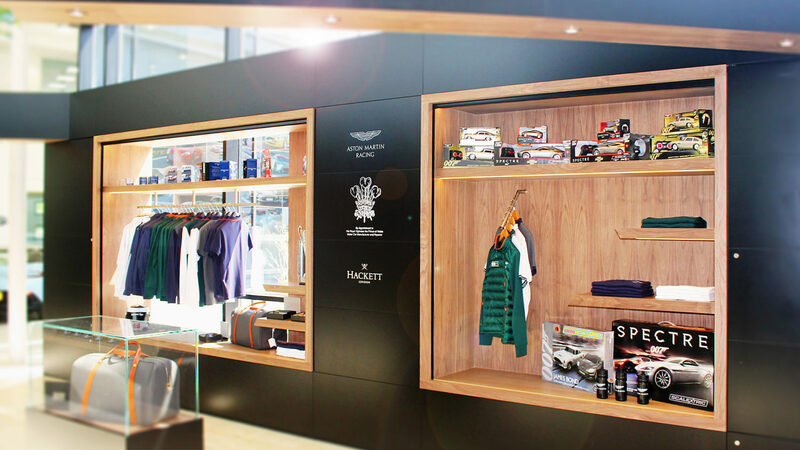 With Aston Martin looking to maximize the impact of their branded merchandise and partner brands, such as Hackett London, they briefed GLS to create a high-end emporium shop experience as a permanent retail space within the VIP Reception at their Gaydon HQ. 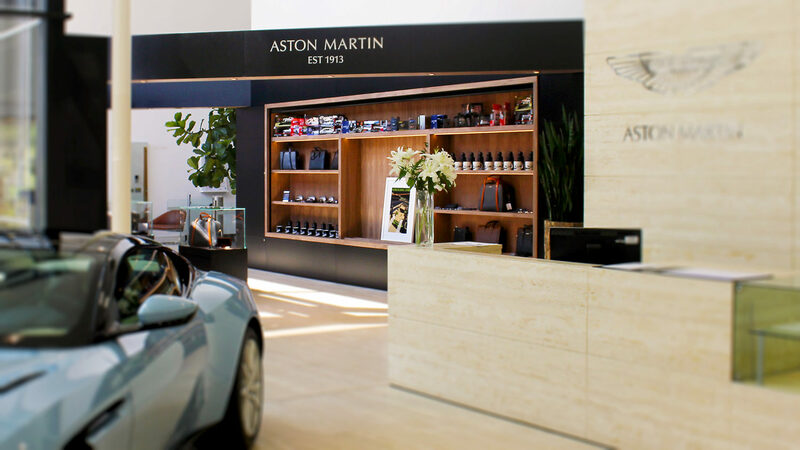 The main garment & display areas are linked by two architectural beams creating a spacious and luxurious setting with sleek linear lines, incorporating flexible island showcases to allow access for Aston Martin’s Heritage Motor Vehicles to pass through to the historical car display. The high-spec black and oak visual palette was enhanced with warm LED lighting, whilst remote controlled security blinds were built within the display that are activated from the nearby VIP reception. 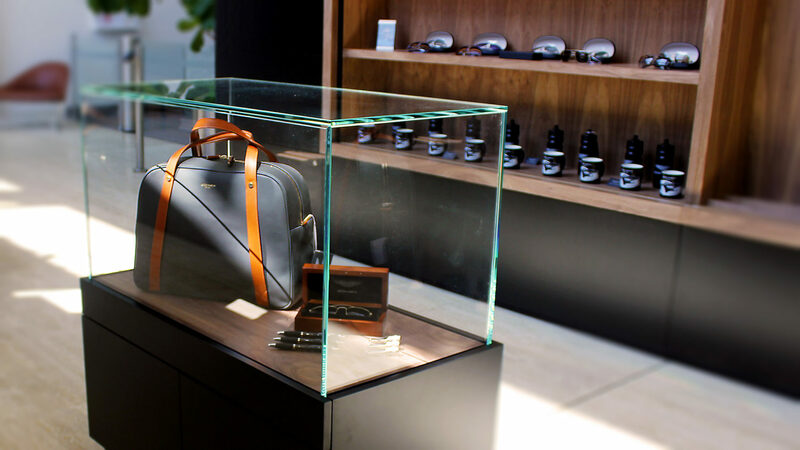 Invited guests will pass through the shop while being treated to a VIP factory tour.